JANUARY IS LEARN TO NORDIC SKI MONTH! Does your New Year’s resolution include more outdoor fun? This year, the Bretton Woods Nordic Center will once again offer a discounted or complimentary introduction to Nordic skiing this January in honor of Learn to Ski & Snowboard Month. If you already ski, invite your friends to try Nordic skiing for the first time with professional instruction, high quality equipment in the correct size, and on ski trails that are groomed specifically for Nordic skiing. There's no better time than the National January Learn to Ski & Snowboard Month! The Bretton Woods Nordic Center is participating in this national event with complimentary introductory lessons complete with a trail pass. Rental packages by pre-registration are available for ages 13+. Sunday, January 6th through Friday, January 11th is Learn to Nordic Ski Free Week. Reservations are required and must be made 24 hours in advance as space is limited. Nordic lessons are offered daily. Please call the Bretton Woods Nordic Center at (603) 278-3322 to make your reservations, all packages are based on availability. Explore The Woods Discount Card, which includes special benefits for the 2018-19 season including 10% discount at resort retail outlets, 20% off Nordic trail passes, rentals and lessons for the remainder of the season. First time Nordic Skiers age 13+ may register for lessons by calling the Nordic Center at 603-278-3322. 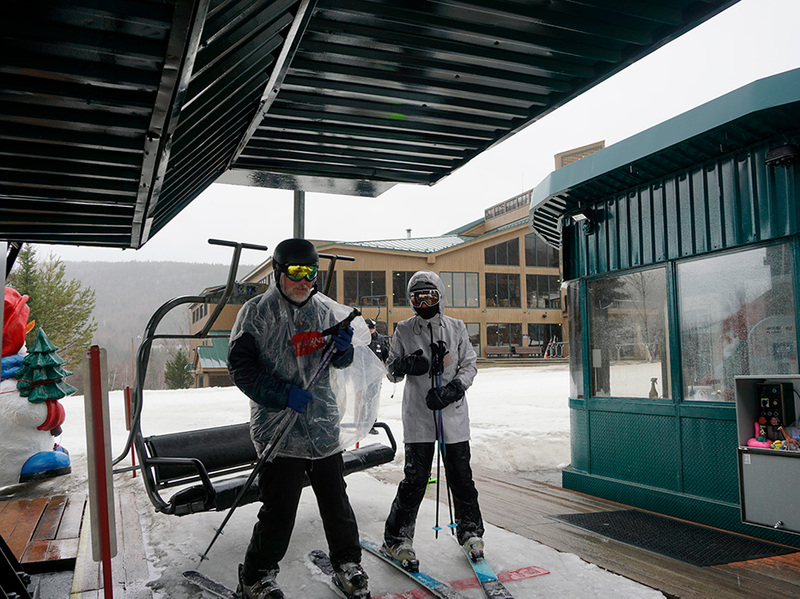 To celebrate National Learn to Ski Month, Bretton Woods is offering great deals throughout the month of January on "Learn To" Nordic Ski Lesson Packages*. This package is for first-time Nordic skiers, age 13+. Reservations are required, please call the Bretton Woods Nordic Center at 603-278-3322. *Special cannot be combined with any other offers. Discounted pricing is subject to availability so book early to guarantee best price. One group lesson (55 minutes) on classic technique. Invitation to a Skiers’ Barbecue in March 2019 at the Bretton Woods Base Lodge. Reservations are charged in full (if applicable) at the time of booking. A full refund, less a $10 processing fee, will be issued for cancellations received more than 24 hours prior to date of arrival. Cancellations or changes made less than 24 hours prior to arrival will result in forfeiture of full cost of the activity, including those due to inclement weather or snow conditions.